A line of soldiers (at right) trek through a muddy, shelled, and barren landscape, while searchlights in the distance scan the evening sky. The title of this A.Y. 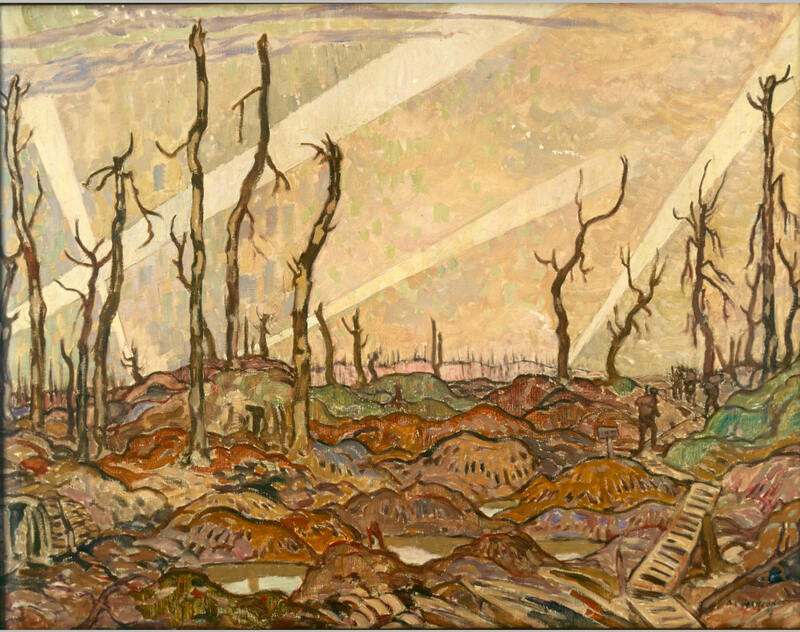 Jackson painting suggests that the area had once been heavily wooded, a powerful comment on the war's devastation of the natural landscape.